DnBuster's Place: What's on YOUR Face? 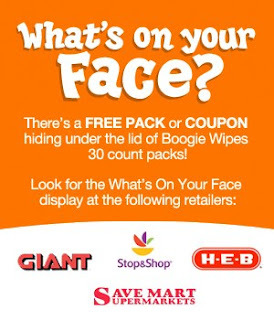 (1) Visit www.boogiewipes.com and enter the unique code that you can find on the pull-tab of your Boogie Wipes package. Once the code is entered, you can receive money saving coupons ranging from $.50 to $1.00 off or possibly a FREE pack of Boogie Wipes. (2) Enter the PHOTO CONTEST for the chance to win. $100 and a Basket Full of Boogie! T-Shirts, Goo, Bumper Sticker, & Lots of Boogie Wipes! Upload a picture of your child’s messy face for a chance at winning the Grand Prize. All messes must pertain to the face to be a valid entries. Open to US residents only. Children must be 10 years and under. 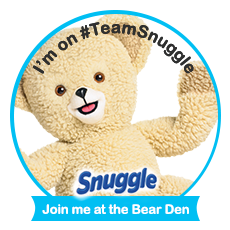 We’ll also email every entrant a $1.00 Off coupon at the close of this contest.